The Original Porter. Or a recreation, at least. Beer historian, and respected blogger, Ron Pattinson collaborated with De Molen brewmaster Menno Olivier on this historic treat. 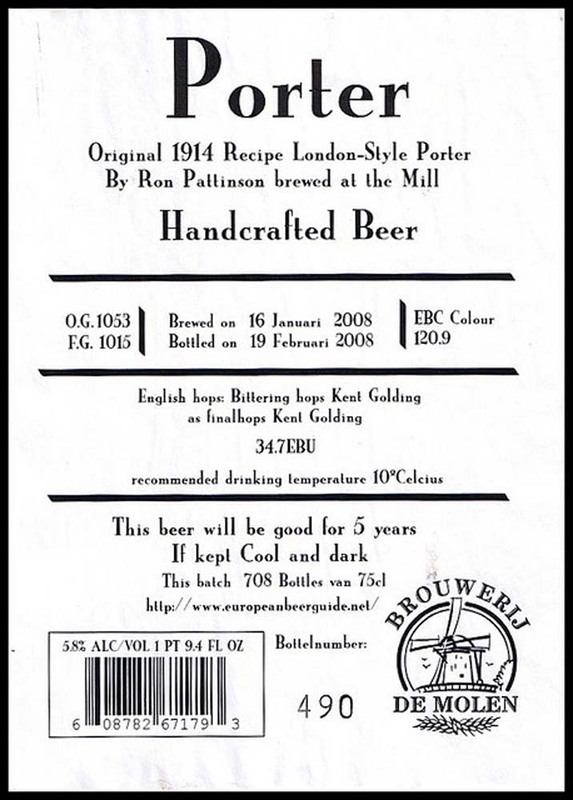 It’s a taste of what the “original porter”, brewed by London’s Whitbread Brewery, would be like without having to travel back to pre-WWI days. Whitbread was known to be one of the largest producers of porters during this time and brewed their original porter on August 1, 1914, only a few weeks before the outbreak of World War I.